"This evaluation of independent domestic violence advisors (Idvas) embedded in 5 English hospitals demonstrates the difference they can make to patients experiencing domestic violence. The presence of Idvas helps doctors and nurses ask about abuse in the knowledge that patients who disclose will get crucial advocacy support, improving safety and health outcomes. Embedding Idvas or other domestic advocacy support in hospital settings should be a priority for hospital trusts, as it should be for primary care and community health settings" - Gene Feder, Professor of Primary Healthcare, University of Bristol and Chair of Themis Expert Panel. "Victims can be very wary of speaking with police, which means the officers must have the educational training and awareness to transcend that, keeping the lines of communication open. I believe Idvas will bring a much needed intuitive, empathetic understanding to hospital environments and the whole domain of human affairs, lifting spirits, changing & ultimately saving precious lives. My hope is that all agencies will one day work together, utilising their various strengths and skills in order to ease the burden of the police force." - Celia Peachey, artist, campaigner and daughter of domestic abuse victim. "The British Association of Oral and Maxillofacial Surgeons (BAOMS) is delighted to support SafeLives. Our specialty treats the majority of trauma to the skin and bones of the face and 80% of victims of domestic violence have facial injuries. Victims of interpersonal and domestic violence suffer long term psychological effects. When physical scarring is on an area of the body which is visible, the emotional impact can be devastating. Oral and Maxillofacial Surgeons see the shock when patients realise that the visible scars can improved by surgery but never removed. Anything that can be done to reduce domestic violence is welcomed. We hope that the conclusions of the four-year study into domestic abuse services lead to future collaborative research, and further work to reduce the incidence of domestic violence in the UK today." - Professor Peter Brennan, BAOMS President. ”Nurses working on the front line will often be the first point of call for many domestic violence victims and yet the evidence shows that all too often they don’t recognise the symptoms early enough or know what to do or how to raise concerns. 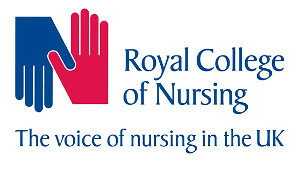 "Nurses are well placed to offer early support and the RCN welcomes this report which highlights the role of Independent Domestic Violence Advisers in hospitals. Domestic abuse often gets missed and this report shows how effective these advisers can be to support victims in an effective and timely way and also in raising the awareness of the issues to all staff in the team. "The RCN have recently launched a resource on Domestic Abuse, which highlights the key issues and helps support nurses and midwives identify and care for patients who have experienced domestic abuse”. - Helen Donovan, Professional Lead for Public Health, Royal College of Nursing. Update August 2017: The Royan College of Nursing have released a position statement reaffirming their commitment to victims and surivors of domestic abuse.